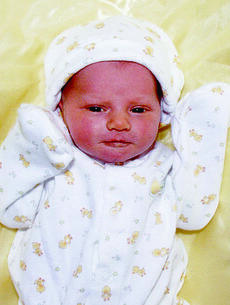 Ella Marie Yazell was born to Joseph Adam and Jennifer Yazell of Berry, Ky. on Dec. 17, 2008 at Harrison Memorial Hospital. She weighed 8 lbs. 5 oz. Maternal grandparents are Keith Smiley of Cynthiana and Sheree Smiley of Georgetown, Ky.; maternal great-grandparents are Roger and Patricia Fryman of Berry, Jimmie and Marilyn Casey of Berry, and the late Clarence and Elsie Smiley of Cynthiana. Shade Steven White III was born to Shade Steven Jr. and Miranda White of Berry, Ky. on Nov. 12, 2008 at Harrison Memorial Hospital. He weighed 7 lbs. 7 oz., and is welcomed by his sister, Kendall Leigh. Maternal grandparents are William and Mary McFarland of Cynthiana; maternal great-grandparents are the late Luther and Norma Fogle and George Yazell Sr. and the late Betty Yazell. 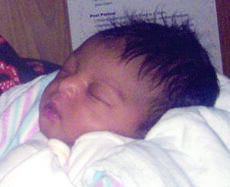 Ashton Journey Preston was born to Leslie Gayle Preston and Charles David Guy Jr. of Cynthiana on Oct. 17, 2008 at Georgetown Community Hospital, Georgetown. He weighed 6 lbs. 14 oz., and is welcomed by his brother Hunter Lee Ruegor. Maternal grandparents are Dorothy and Curtis Preston Jr. of Cynthiana. Paternal grandparents are Sue (Jackie) Lemons of Cynthiana, and Charles Guy of Nicholas County, Ky. Births announced this week are: Justin Kirby Brown, Jan. 6, son of John Kirby and Terri Roth Brown; Cheyenne Marie Brumagen, Jan. 7, daughter of Tracey and Tina Brumagen; Weston Scott Fowler, Jan. 5, son of Steven and Whitney Fowler; Nathanael J Taylor, Nov. 28, son of Bernice Ann and Dale Taylor. This December has been a cold one thus far. I don’t mind a gloomy day here or there, I actually find them some what restorative. Too many in a row, though, can be sort of depressing. We all say we want winter interest, but sometimes we forget about it once spring rolls around and we get excited about a new season. Have you selected things that will capture your eye in January? A’shaelyn Blaine Veandric Cummins was born to Stormi Cummins and Jonathan ‘Bud’ Mackey on Nov. 14, 2008 at Georgetown Community Hospital. She weighed 6 lbs. 4.5 oz. Maternal grandparents are Vesta Cummins and the late Blaine Cummins; maternal great-grandparents are Rose Stone and Amos Penney, and the late Artie Custard and the late William Cummins. Paternal grandmother is Erica Mackey; paternal great-grandparents are Mattie Mackey and the Rev. Earl Mackey. Births announced this week are: Trey Jackson Bell, Dec. 15, son of Lovena Price and Chris Bell; Kassidie Brianne Childress, Jan. 4, daughter of Jessica and Westley Childress; Paige Allison Miller, Dec. 26, daughter of Mark and Emily Miller; Reagan Nicole Sadler, Dec. 31, daughter of Billy Ray and Tanya Sadler Jr.; Amanda Rodes Judy, Dec. 22, daughter of Kyle and Terri Judy. The poinsettia has been a fixture in American homes as a holiday decoration for as long as most of us can remember. I think it is fair to say that it is considered the “official” Christmas flower. No need to wait on putting the roses to bed this year. We have gone from the frying pan to the ice bath in short order this season. I don’t get rose protection questions like I used to; it seems most have gone the “Knock Out” road so little maintenance is required. Knock Out roses can stand a little attention now but really there is no pressure. Births announced this week are: Nicolas Allen Florence, Dec. 17, son of Amber Nicole and Chad Allan Florence; Jessica Grace Glenn, Dec. 2, son of Mr. and Mrs. Boyd Glenn. •10 years ago, Dec. 29, 1988: A new department store is planned to occupy the vacant Lerman's building at the corner of Main and Pike streets. Peoples is planning to open March 1, 1989. An award to be given to outstanding 4-H’ers in Harrison County in memory of Robert Wigginton, Extension Agent in Harrison County from 1942-1964 is in it’s 17th year. It is based strictly on 4-H activities. The award will be made to one outstanding senior 4-H’er and one Outstanding Junior 4-H’er each year. A 4-H member may only receive this award once as a junior 4-H’er (age 9-13) and once as a senior 4-H’er (age 14-19). Age is determined by the 4-H’ers age on Jan. 1 of the award year. Most of us know that the popular spice ginger comes from the root of the plant. Well, really it is a rhizome, and the hot and pungent flavor has more to it than just a taste sensation. 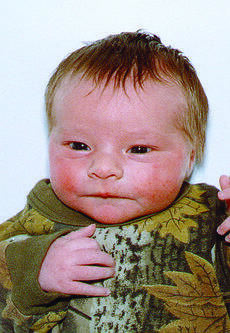 Austin Ray Morris was born to Richard and Tammy Morris of Cynthiana on Nov. 26, 2008 at Harrison Memorial Hospital. He weighed 5 lbs. 6 oz., and is welcomed by his brothers, James and Richard Morris, and sister, Kayla Morris. Maternal grandparents are Johnny and Sue Baker of Cynthiana; maternal great-grandparent is Irada Hughes. Paternal grandparents are Tommy and Judy Morris of Cynthiana. 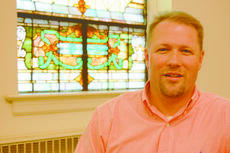 After almost 15 years serving as pastor of Cynthiana Baptist Church, Rev. Wayne Spivey has resigned. Spivey announced his resignation during the church service on Sunday, Nov. 16, at which point he told the congregation the decision to leave had been tough. “Without a doubt, this is the hardest thing I have ever done in my entire life,” said Spivey in his resignation letter, adding the decision had been God’s and not his. Live or live-cut … that is the question for this year’s holiday tradition of decorating an evergreen indoors for Christmas. You may think that you are being a better environmental steward by purchasing a live tree; not necessarily. Live-cut Christmas trees are a 100 percent renewable resource that is reusable, recyclable and biodegradable. They are an American product, farms employ approximately 100,000 people each year; and one acre of planted Christmas trees provides the daily oxygen requirement for 18 people. Births announced this week are: Sarah Jo Doyle, Dec. 5, daughter of David K. and Dorothy Jo (Hedrick) Doyle; Hunter Marie Griffith, Dec. 11, daughter of Chris Griffith and Andrea Griffith; Dakota Tyler Morris, Dec. 17, son of Brad and Trish Morris; Summer Ann Marie Quigley, Dec. 12, daughter of Christina La Shanne Quigley and Dustin T. Quigley; Austin Maverick Whitaker, Dec. 15, son of Kenny and Lisa Whitaker. Cynthiana's new mayor, Virgie Wells, will be installed in a ceremony Sunday.